According to the data from USB Phone World technicians, the new types of phone become more and more popular in New York. Although we learn that New York is a fashion city and a resource of many exotica and wonder. The boom of Skye phone has really surprised us a lot for its rapid increment speed in sales volume. Due to the affection of financial crisis, many small and medium-sized enterprises begin to realize the important of efficient budget while the advantages of Skype phone have popped up to them. And I cannot emphasize the importance of its low expense and convenience in phones calls and online chat too much. which has more additional functions installed. In the past, many users are troubled by the USB power cord of Skype phones; however, it is no longer a resistance for us. After all, this kind of new cordless phone has provided about 50 meters from basement to have a phone call. Then only adjust the location of laptop computer can us talk with each other freely with high-quality voice. In my opinion, the popularity of Skype phone in New York should be attributed to its contribution in business features, such as online conference. In USB Phone World, some customers will purchase several phones for their staffs and friends. Therefore, it will make them convenient in communication and efficient in work while it is also a perfect gift to friends and business partners. 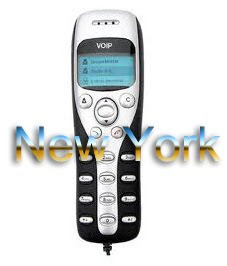 From the popularity in New York and 160 feet USB cordless phone for Skype, it is the innovation and humanity that makes Skype phone accepted by users. As for USB Phone World, no more profits are better than the requirements and credits from customers.